As a SARM, Ostarine binds directly to the androgen receptors. While anabolic steroids also bind to androgen receptors, SARM’s cannot convert to DHT or estrogen. Officially belonging to a group of drugs, Ligand, MK 2866’s only purpose is direct anabolic activity. This SARM can be used for muscle growth or muscle preservation (diet dependent). Ostarine, like anabolic steroids, will increase protein synthesis as well as nitrogen retention. However, unlike anabolic steroids, it will do so without any DHT (dihydrotestosterone) or estrogen conversion. While no direct estrogen conversion is present in terms of aromatase activity, mild increases in estrogen levels have been shown. This is perhaps why Ostarine has been shown to be good for joint health and healing. Estrogen often gets a bad wrap, but some is needed for good health and physical performance. It is, however, the direct binding to the receptor that is most important as it not only promotes anabolism, it alters the gene sequence directly at the receptor site; in fact, it is highly tissue specific, muscle and bone. MK 2866 carries a half-life of approximately 24 hours. Ostarine can be used for gaining as well as preserving muscle mass. For the athlete, this means it can be used in both cutting and bulking phases. The user can expect significant gains in lean body mass without unwanted water retention or fear of gynecomastia often associated with anabolic steroids. The individual will unlikely gain as much weight as he would from a cycle of Dianabol or Anadrol; however, the gains will be cleaner and easier to maintain post use. It is very common for the individual to associate all weight gain with positive gains when using certain steroids, but lean muscle gains are the only ones that count. Ostarine can also be very useful during the cutting or dieting phase. This may be the best time to use the SARM for its muscle protecting qualities. In order to lose body fat, you must burn more calories than you consume. Being in a calorie deficit puts lean muscle mass at risk, some loss will occur. If we can protect our muscle mass during a diet, we not only look better we actually continue to burn fat. A loss of muscle mass will hinder the metabolism making fat loss difficult. Protect the muscle mass and you protect the metabolism. Ostarine will also offer up significant joint healing and repair, which is invaluable when dieting. Harsh or hard dieting can often lead to joint discomfort. If we can protect our joints, as well as increase tendon and ligament strength, collagen synthesis and enhance bone mineral content, we can continue to train and train harder. The effects of MK 2866 in this manner are truly beneficial in a bulking or cutting phase, but they will typically stand out more during the cutting phase. The effects of Ostarine in this regard are so strong data has shown it may directly treat injuries, and not a masking scenario as with pain meds but actual healing of joints, ligaments, tendons and bone. The side effects of Ostarine are limited as it appears to be a relatively side effect friendly drug. 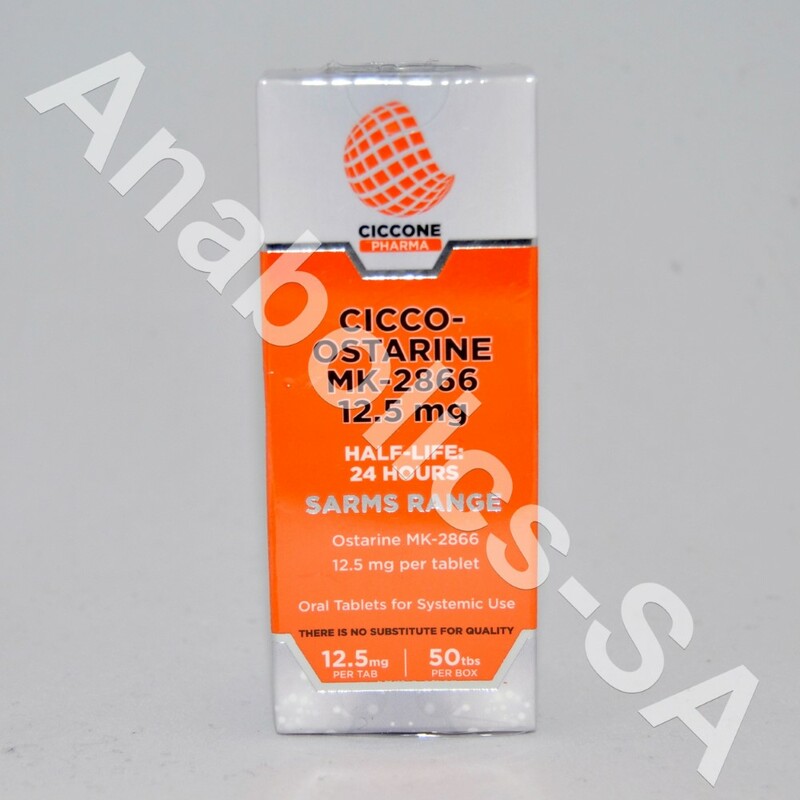 Many of the adverse effects associated with anabolic steroids will not exist with this SARM; however, some will, although mildly. 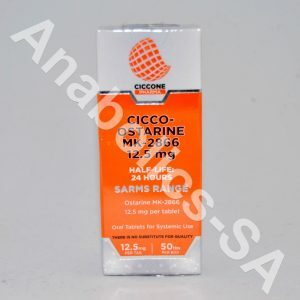 Estrogenic: The side effects of Ostarine should not include those of an estrogenic nature as the SARM does not aromatize. There is no conversion of testosterone to estrogen associated with this drug. Water retention, bloating, gynecomastia or high blood pressure due to water retention cannot occur. However, data shows that some increases in existing estrogen may occur, but should be very mild and not enough to warrant the use of an anti-estrogen. If this very slight increase is concerning, if an anti-estrogen is used, you may easily bottom out your estrogen levels, which can lead to numerous hormone imbalances and related effects. 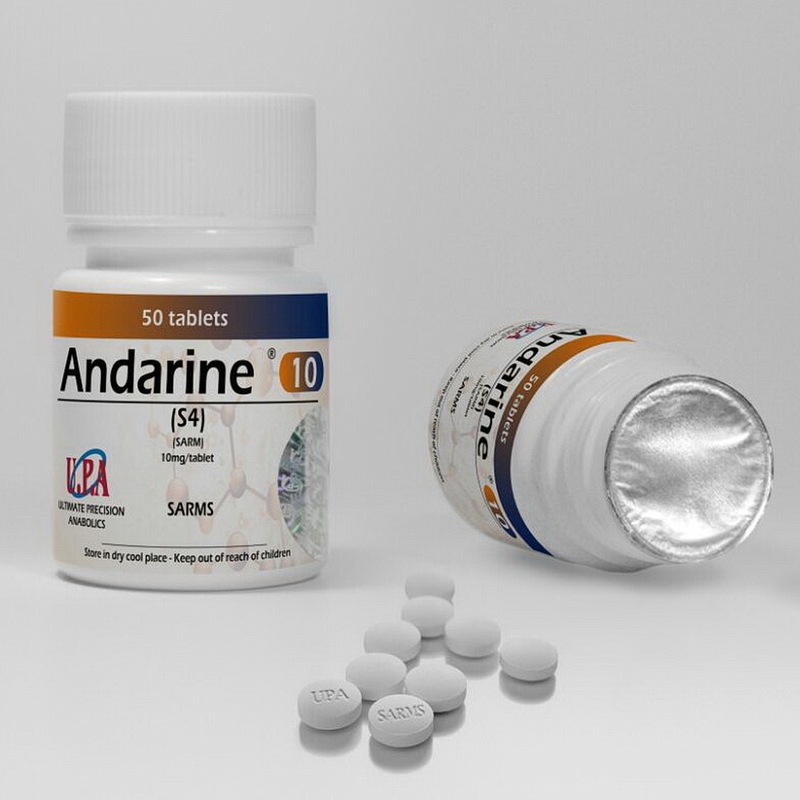 Androgenic: Androgenic side effects of Ostarine, despite directly affecting the androgen receptor should not exist. This compound does not convert to DHT; acne and hair loss cannot occur. Androgenic side effects associated with virilization in women are also impossible. As there is no direct androgenic activity related to DHT, prostate issues should also be non-existent. Cardiovascular: The side effects of Ostarine should present minimal cardiovascular risk. Both HDL and LDL levels may be reduced, but all data shows minimal to insignificant reductions. Testosterone Suppression: It’s often said SARM’s will not suppress natural testosterone production, and it’s true they will not compared to anabolic steroids. However, some suppression is possible, but complete suppression is not. A testosterone-boosting supplement may be warranted while using MK 2866. Post Cycle Therapy (PCT) data is somewhat inconclusive as to if this is needed. Some men seem to experience greater levels of testosterone suppression than others. Hepatotoxicity: Although orally administered, the side effects of Ostarine do not include liver toxicity. MK 2866 does not belong to the C17-alpha alkylated (C17-aa) class of drugs like many oral anabolic steroids. It does not mirror the MI metabolite associated with the SARM S4 that gives that particular SARM some hepatic activity. MK 2866 is an orally administered SARM. For the purposes of muscle preservation when dieting, a minimum of 15mg per day is normally taking. For growth to be spurred, most users will find 20-25mg per day to be a good place to start. Some heavier individuals may find 30mg per day to be needed, but most data shows such doses often make little difference compared to the 20-25mg ranges in most men. Total use will normally last 6-8 weeks with 4 weeks of no SARM use once a cycle of Ostarine is complete. Although testosterone suppression may not be heavy, PCT may or may not be needed. However, some suppression will exist and it’s best to give the body a chance to normalize. MK 2866 carries a half-life of approximately 24 hours; once daily dosing is sufficient. There is no advantage to multiple doses per day. Ostarine is widely available and can be found through most online research chemical companies that offer ancillaries, peptides and other non-steroidal and non-controlled substance labeled medications. Pricing will vary depending on numerous factors, which include manufacturer, dosing strength, liquid or capsule. True SARM’s like MK 2866 will normally be found through research chemical companies. MK 2866 is an effective medication for providing a significant anabolic boost. The personal reviews of many individuals online are mixed with most negative reviews appearing to be based on misunderstanding. This SARM is not going to pack on 30lbs of weight in a matter of weeks like the steroid Anadrol will, and it’s not going to provide a level of hardness comparable to a Trenbolone and Masteron combination. In order to appreciate any medication used for anabolic purposes, we have to first understand what it’s capable of and what it’s not. Ostarine can be a solid alternative over anabolic steroids, a good bridge between steroid cycles (assuming you’re not concerned with full natural hormone recovery at that time), or a good addition to a total stack of other items. You must also consider where you’re getting the product. Most purchases will be made from research chemical companies, and there are some that manufacturer inferior product. However, with numerous high quality labs on the market, most of the poor ones rarely stay in business very long.